This example is based on a standalone system using switches and not routers. This software package works only with IQ2 products, which are the Crown IQ-PIP-USP2 family, IQ-USM-810, CTs 4200IQ, CTs 8200IQ, IQ-SLM8, IQ-PIP-MEM, IQ-PIP-DSP, IQ-PIP-SMT, and BSS products PS8810C, PS8810. 1. Wire the IQ Loop components according to Figure 1, which shows a typical system. Use an RS-232 cable from the computer to an interface. Connect the IQ Loop serially through all the components back to the interface. 2. If you already have a static TCP/IP address for the TCP/IQ components, skip this step. Select Settings > Control Panel > Network Connections. Set a static TCP/IP address and Subnet mask on the master computer. Document the address and mask. 2A. Right-click on LAN Connections. Then select Internal > Properties. 4. Once the Properties window opens, click on Internet Protocol (TCP/IP). Then click on Properties. 5. The Internet Protocol (TCP/IQ) Properties window appears. 6. If you need to set an IP address manually, specify an IP address. The IP address is four numbers between 1 and 255 separated by periods. For example, 192.168.8.1. 7. Select a subnet mask. The subnet mask is four numbers between 1 and 255 separated by periods. For example, 255.255.248.0. 8. Click OK and close the Control Panel. At this point, some computer operating systems will require a restart. 9. 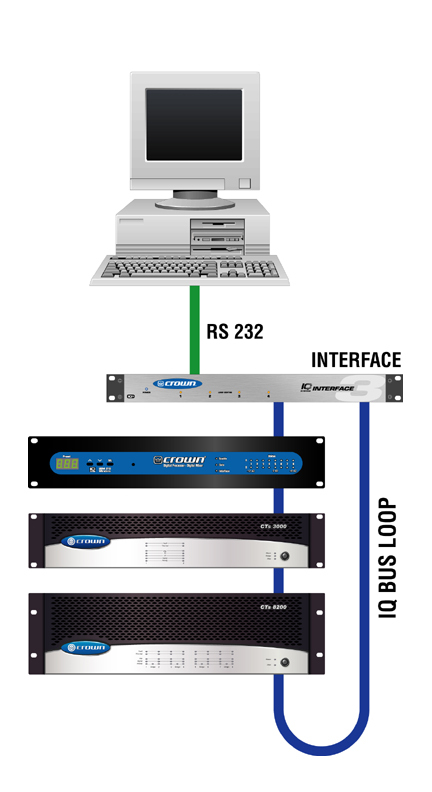 Select IQ Systems > IQwic > IQ Gateway. This launches the IQ Gateway on the master computer. 10. IQ Gateway will run a roll call, then will minimize itself to the system tray. 11. Right-click on the IQ Gateway in the System Tray. Select Open. This will bring up the software to a maximized view. 12. The IQ Gateway software will launch. You can confirm the status of the components it found, as well as the IP address of the host computer. 13. If you want to change the number at which the IQ Loop components start, go to the Setup menu. Remember that the physical address and virtual addresses cannot be the same. To set the polling rate for the IQ products, set the Period of the Online Check and of the Online Search. 14. Launch IQwic and run a roll call.